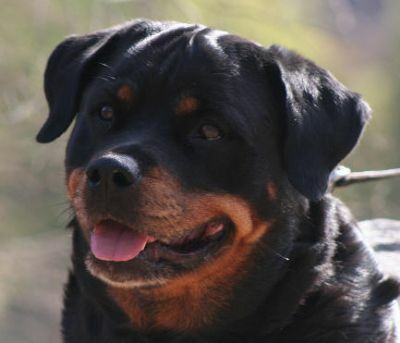 CC has grown into a medium size girl with strong bone and excellent substance, she has a strong feminine head, excellent top and underlines for her age and she covers the ground with ease. 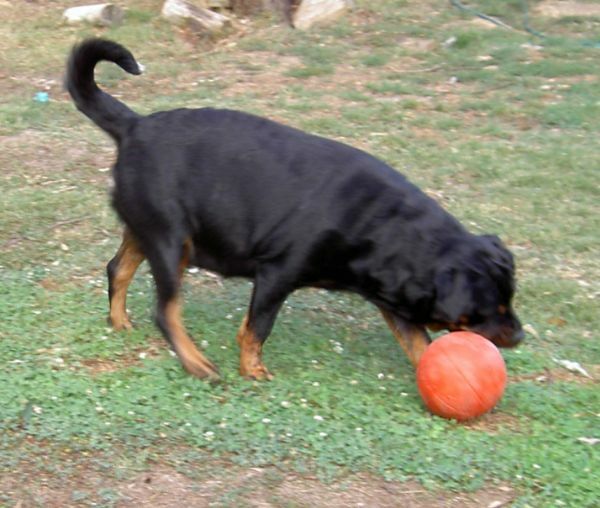 CC is a happy girl and loves to play with her ball. 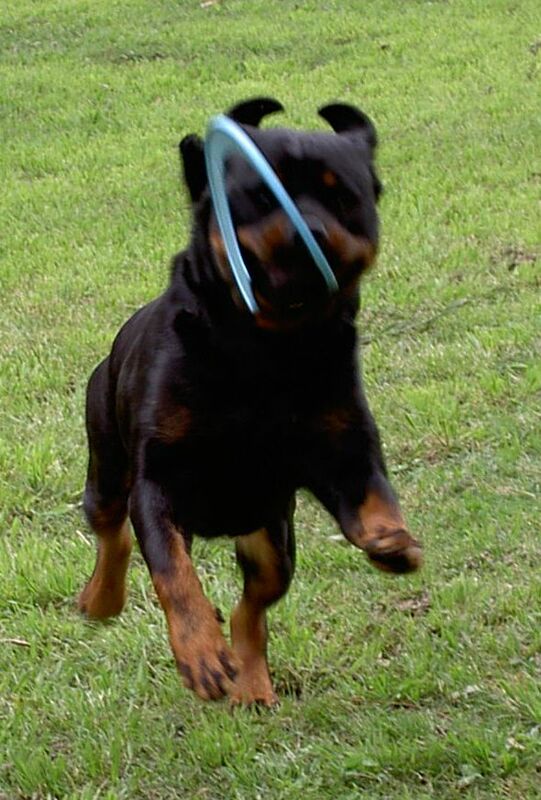 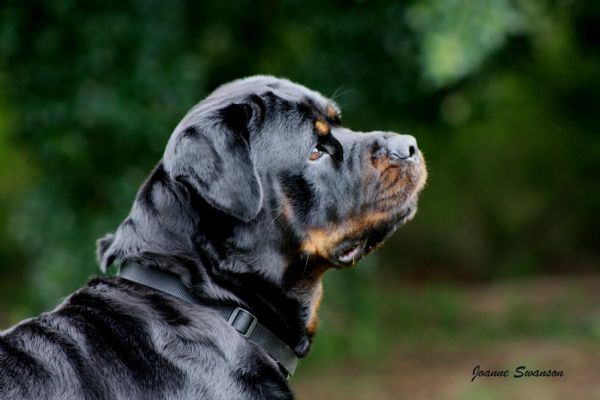 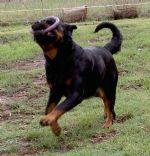 Her playfull attitude and willingness is a pleasure to train and live with. 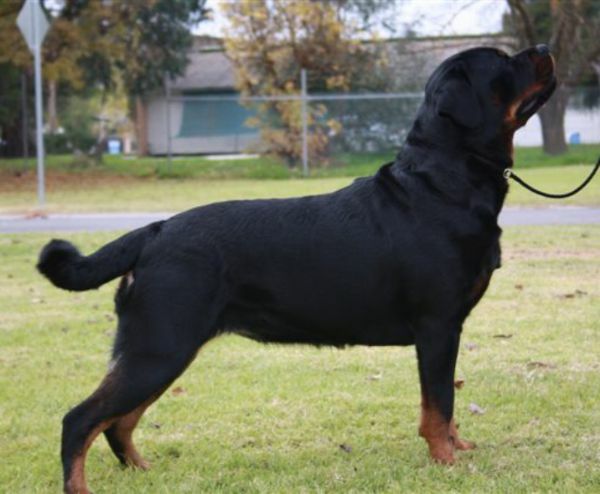 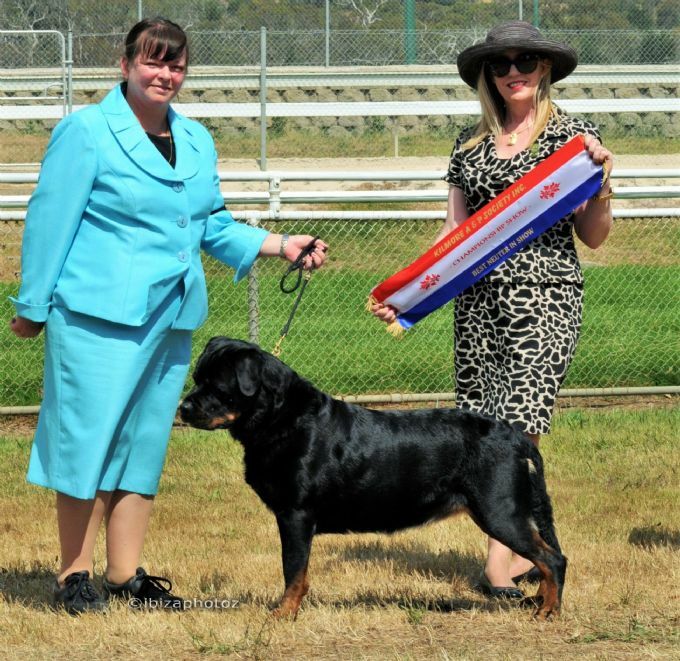 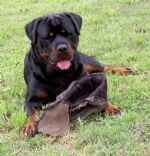 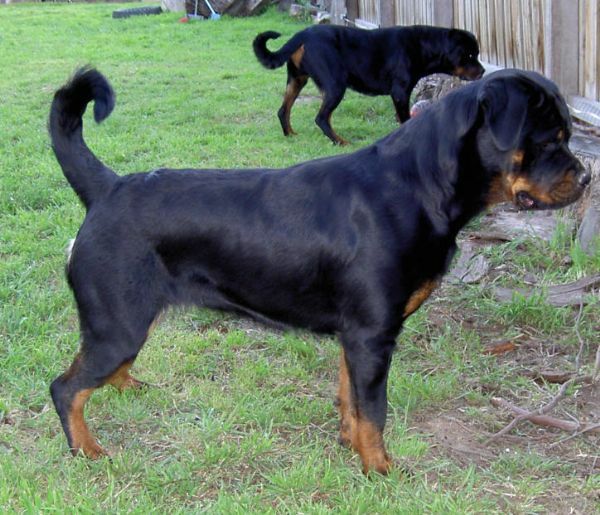 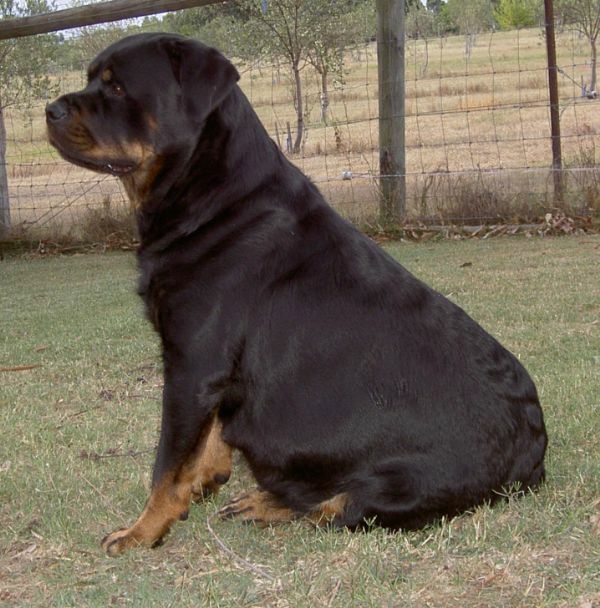 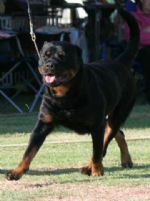 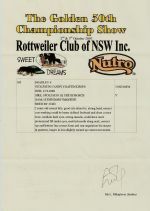 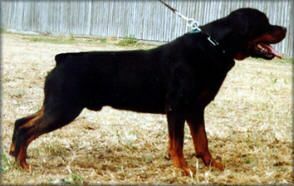 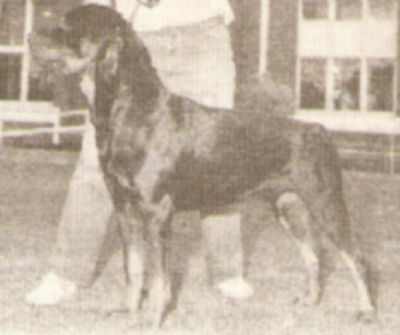 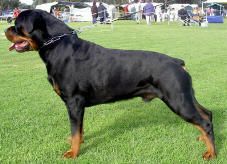 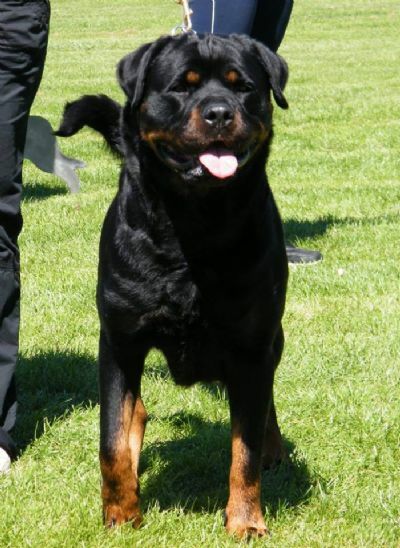 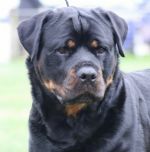 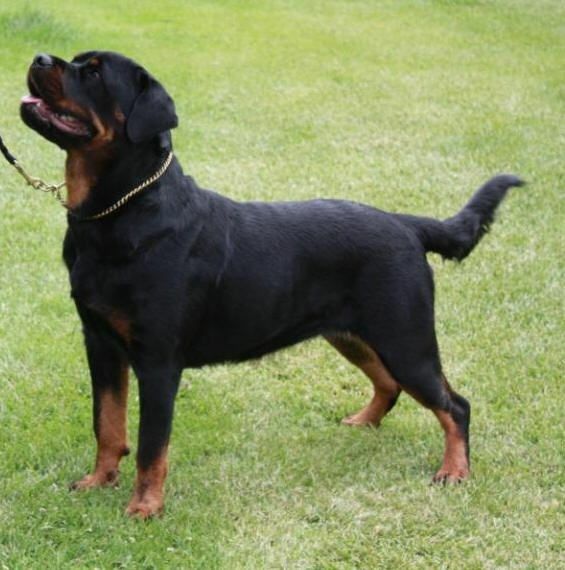 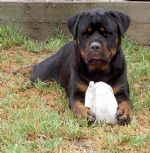 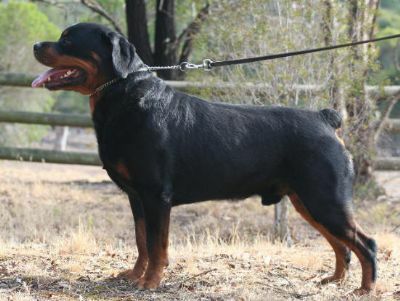 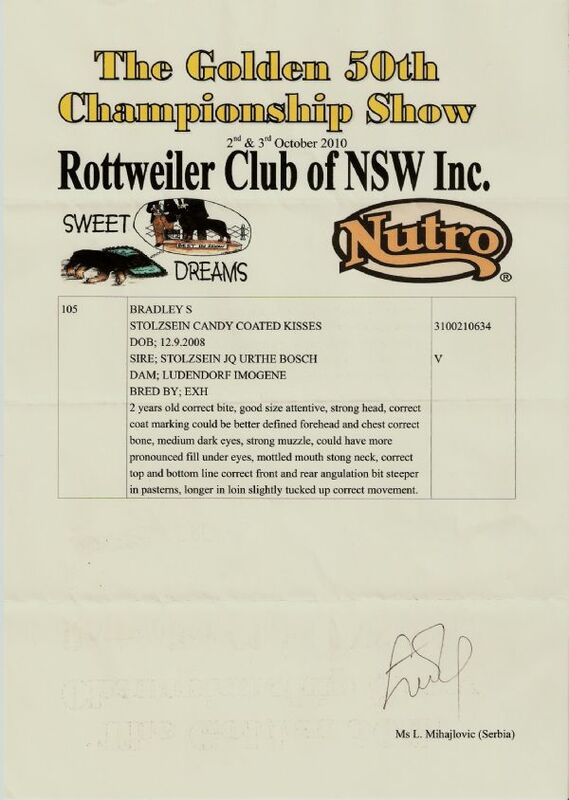 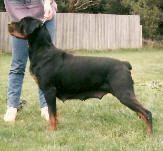 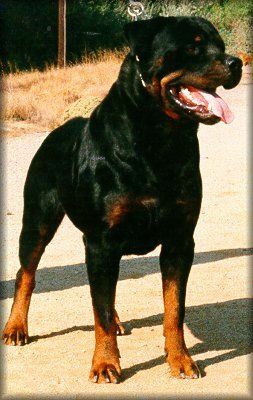 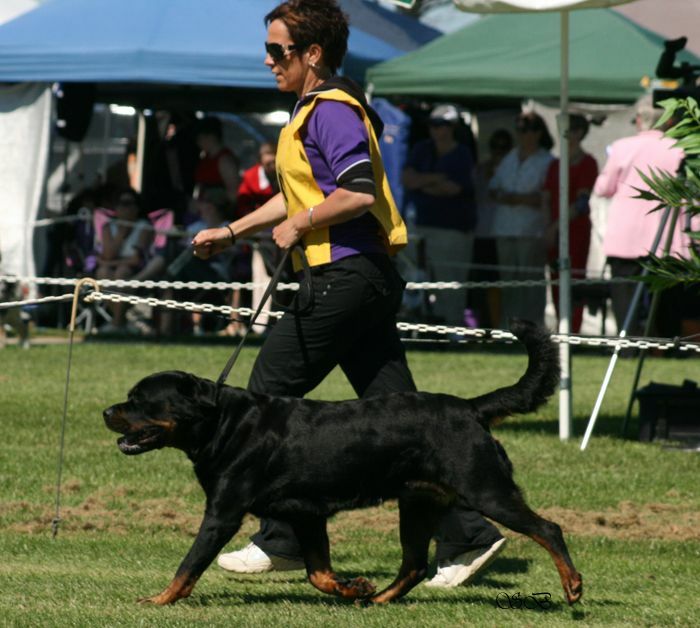 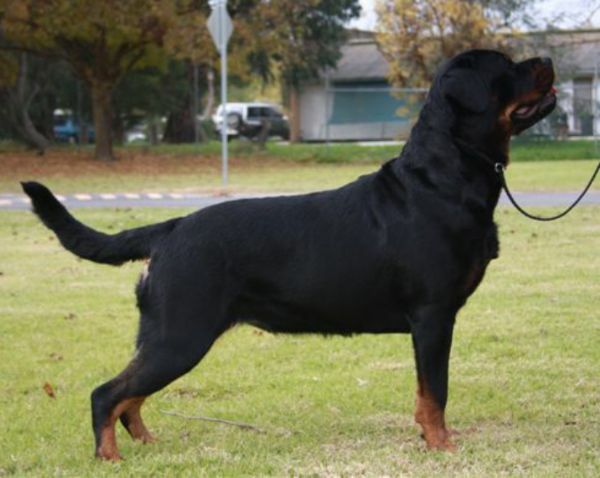 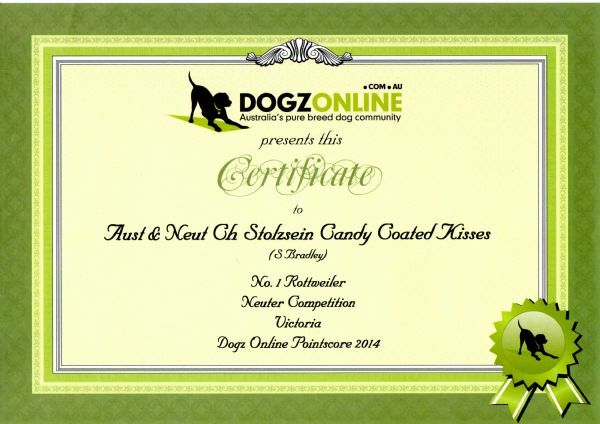 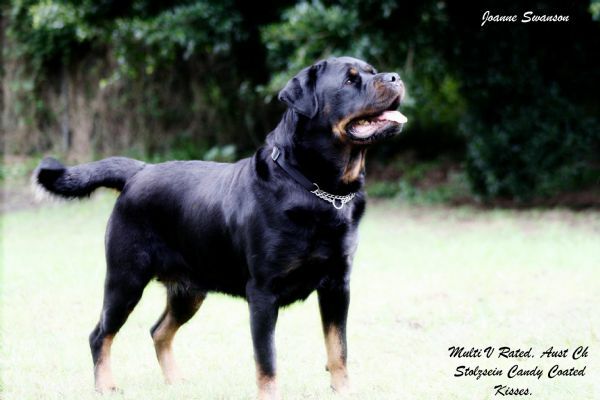 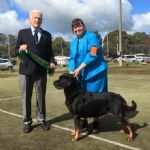 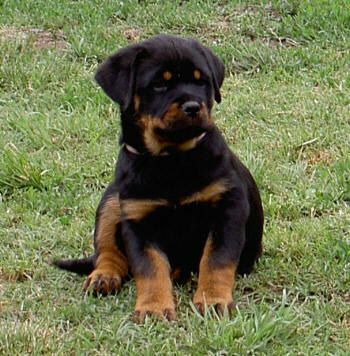 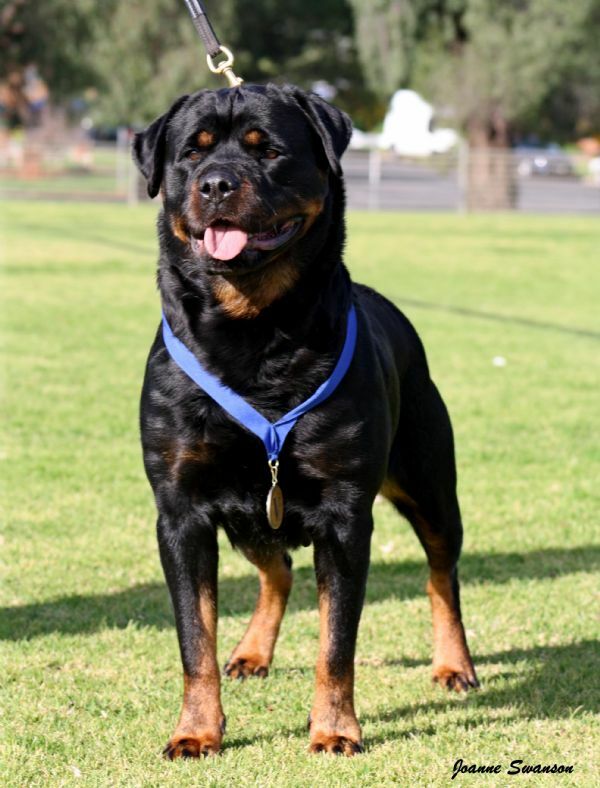 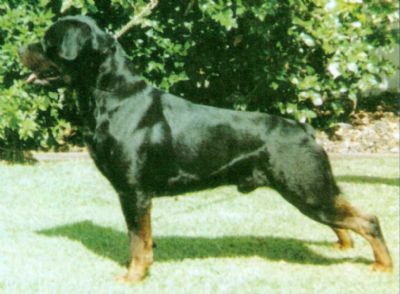 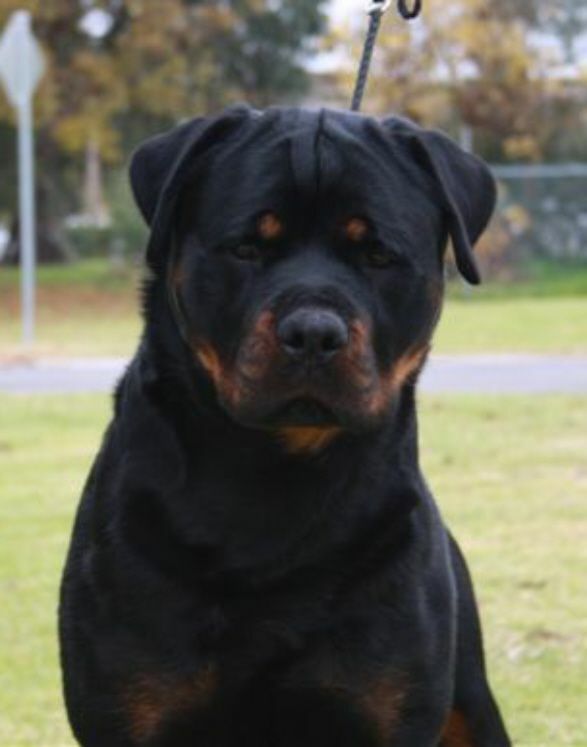 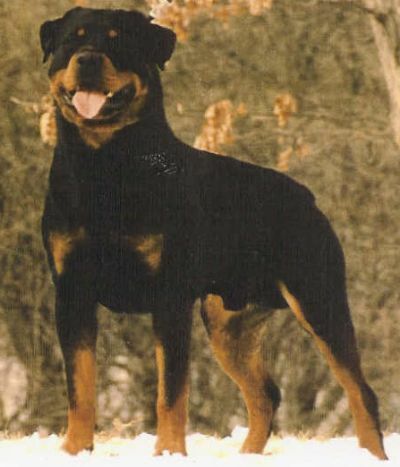 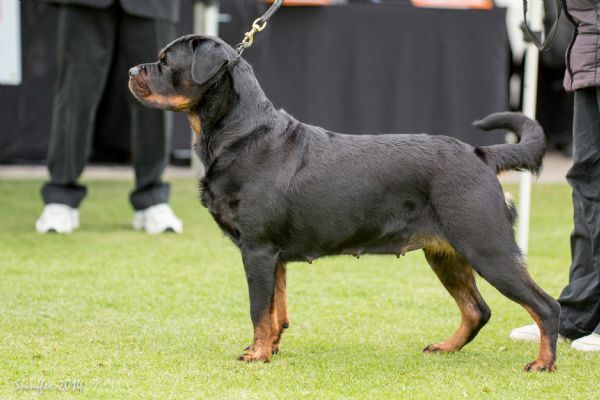 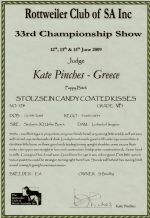 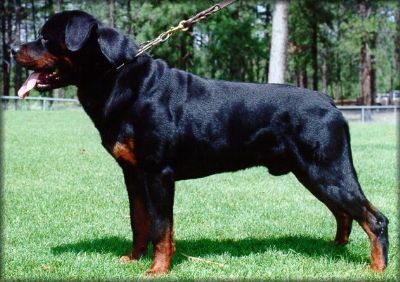 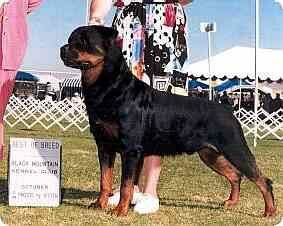 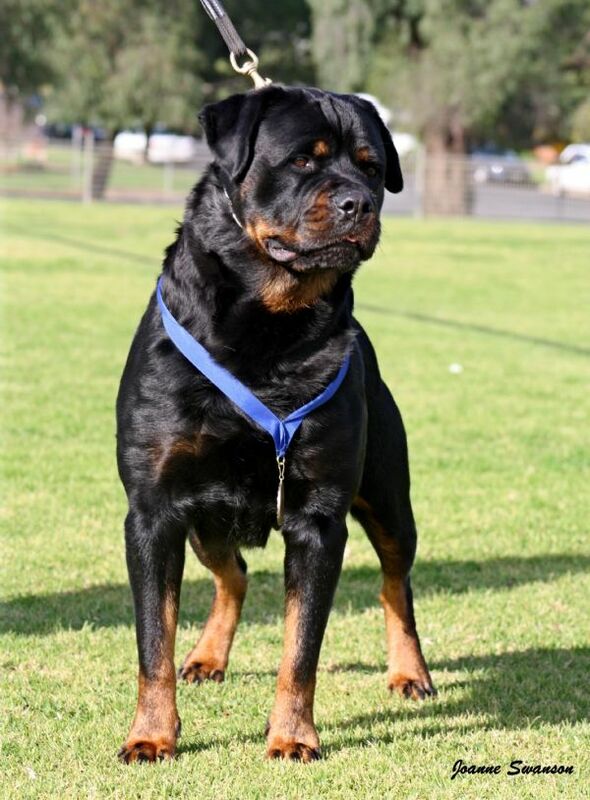 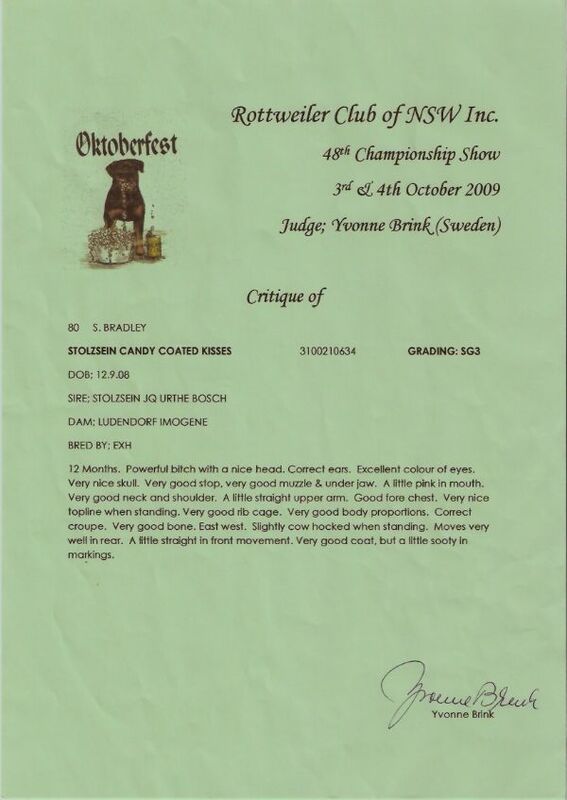 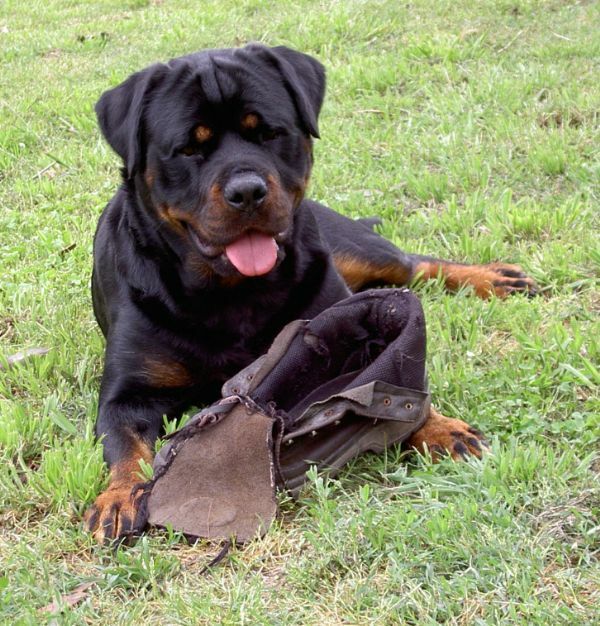 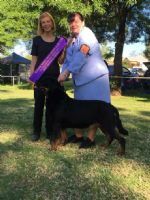 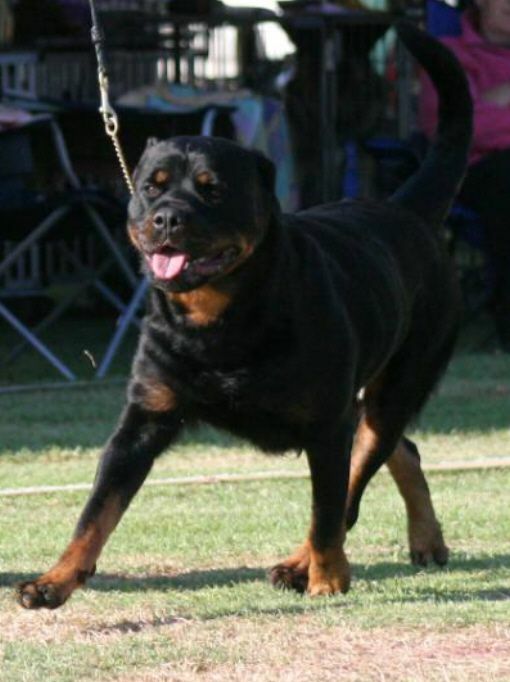 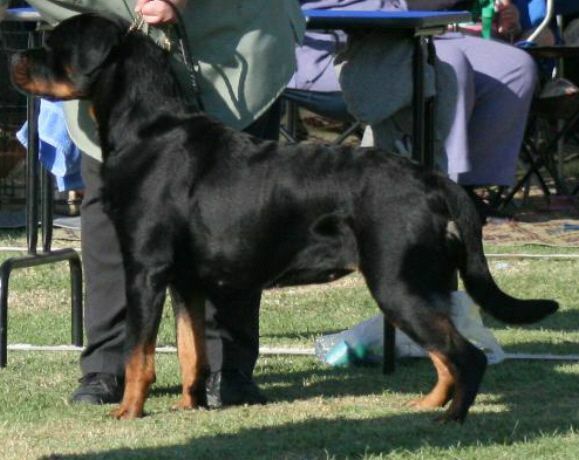 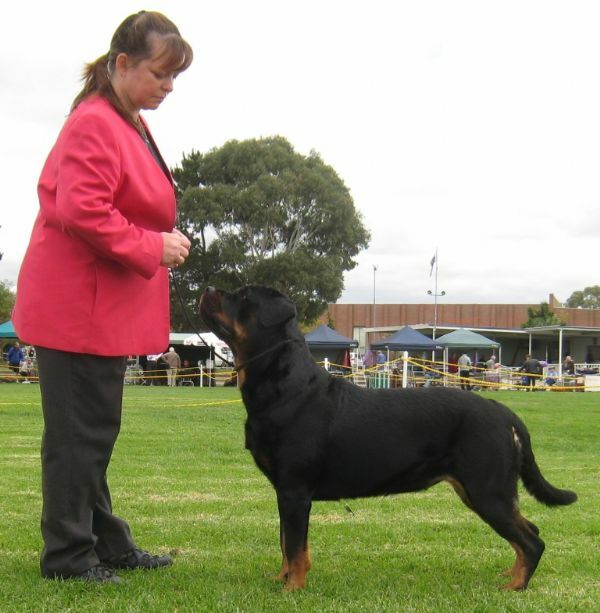 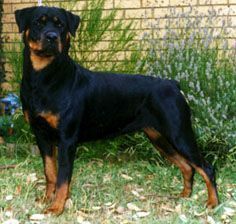 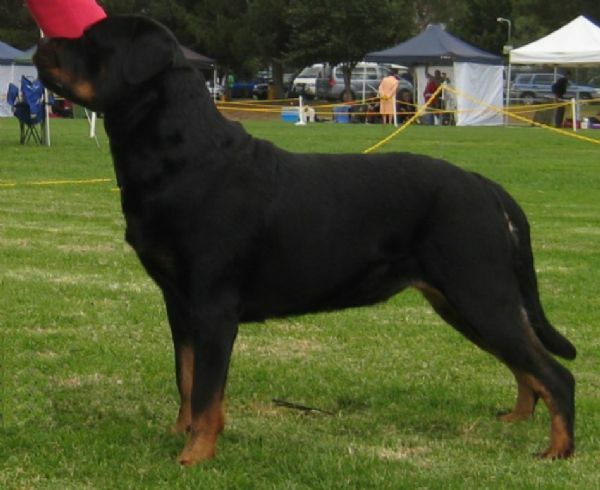 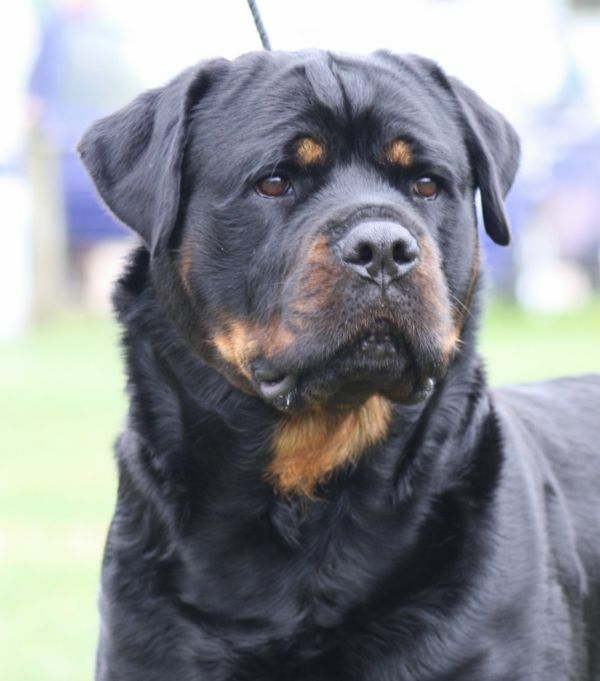 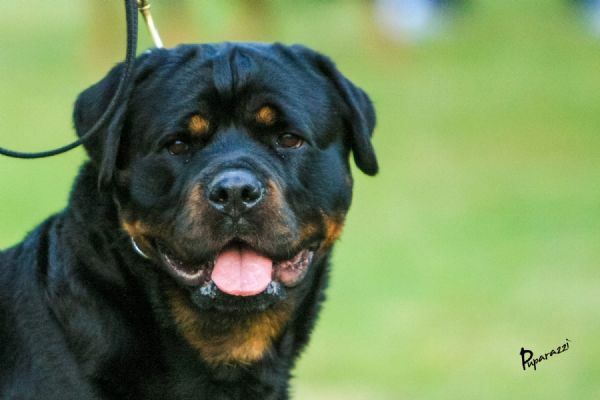 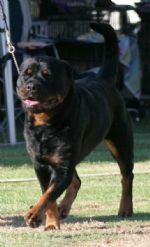 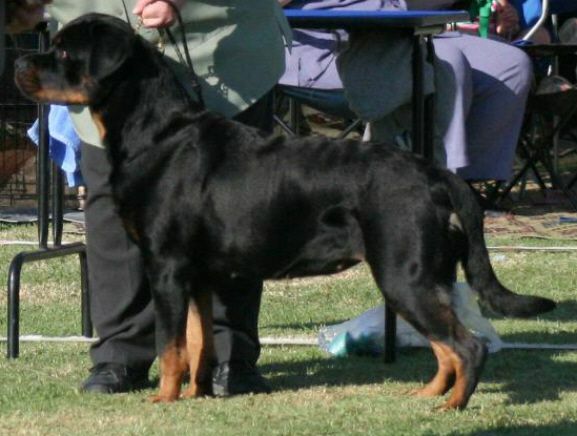 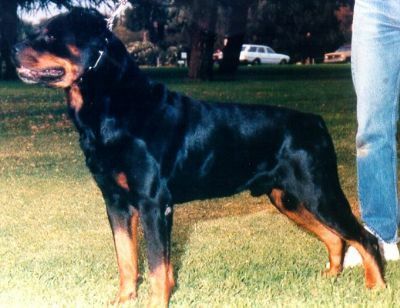 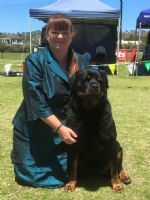 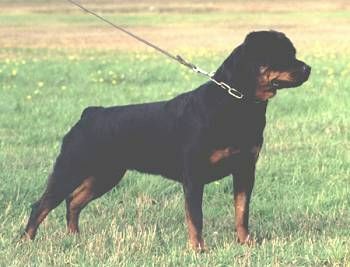 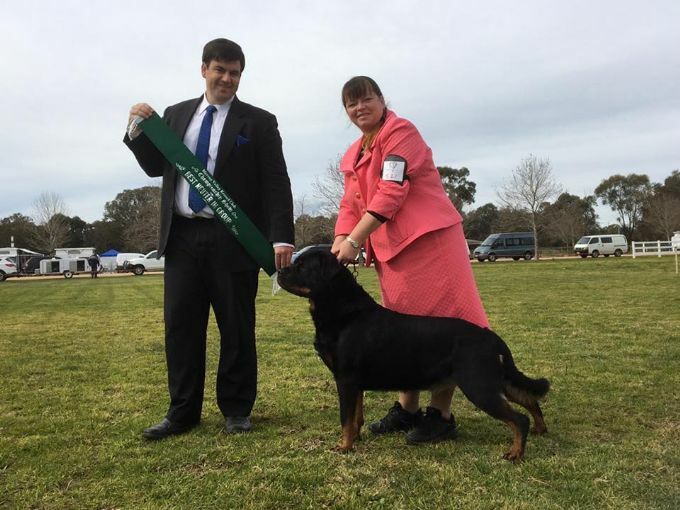 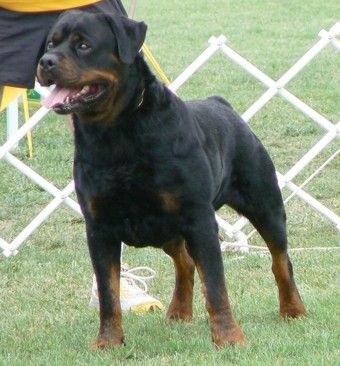 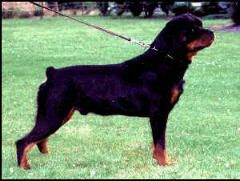 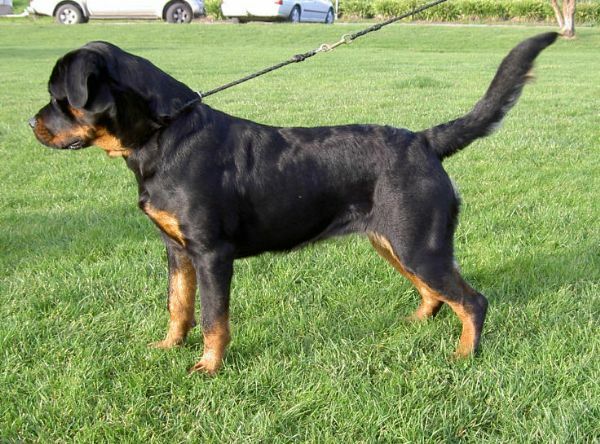 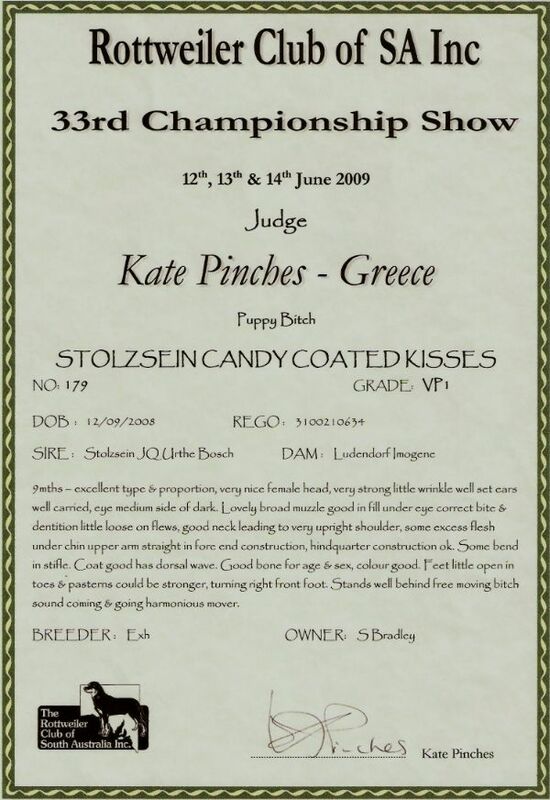 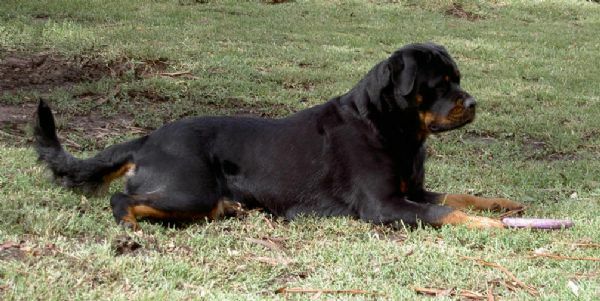 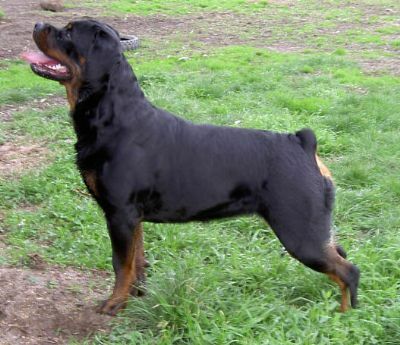 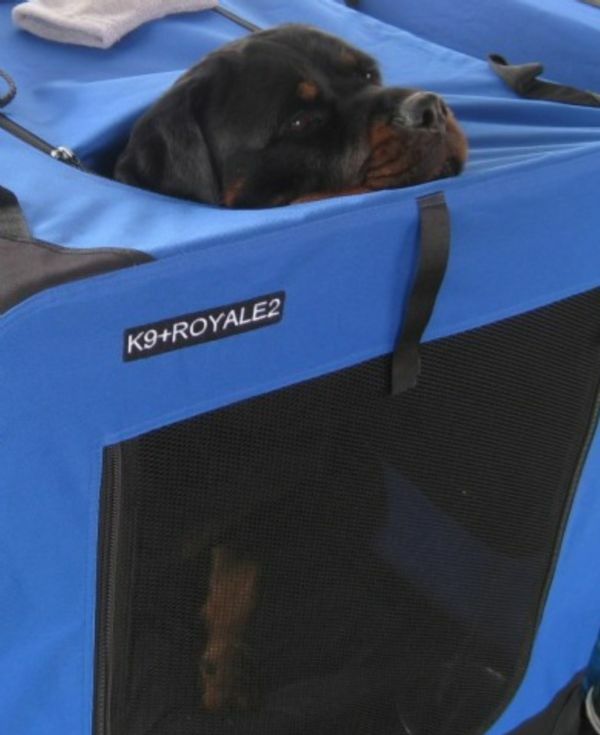 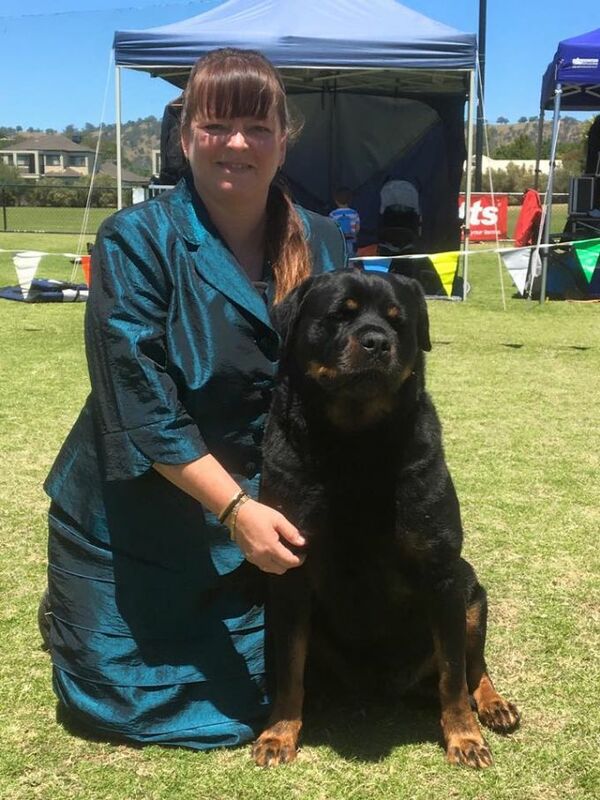 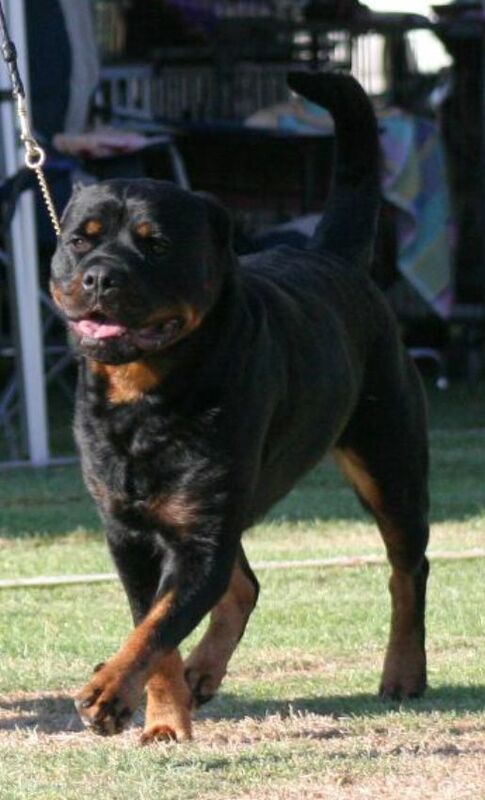 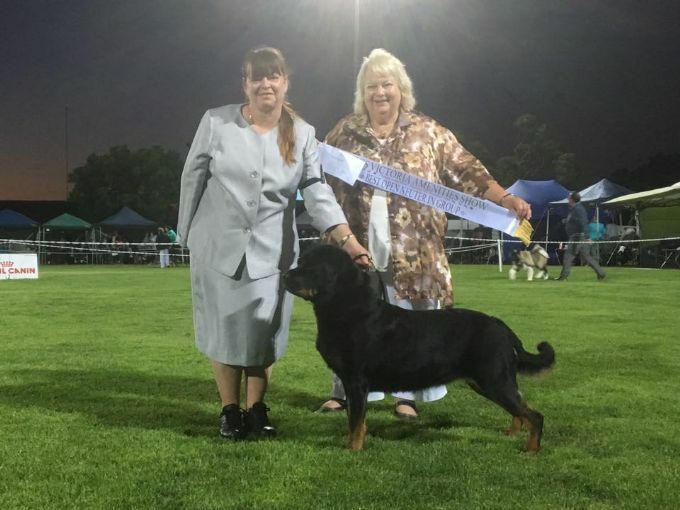 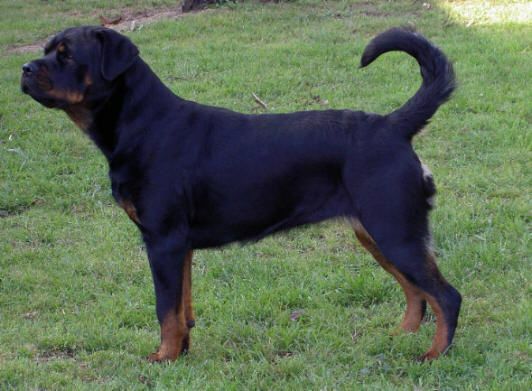 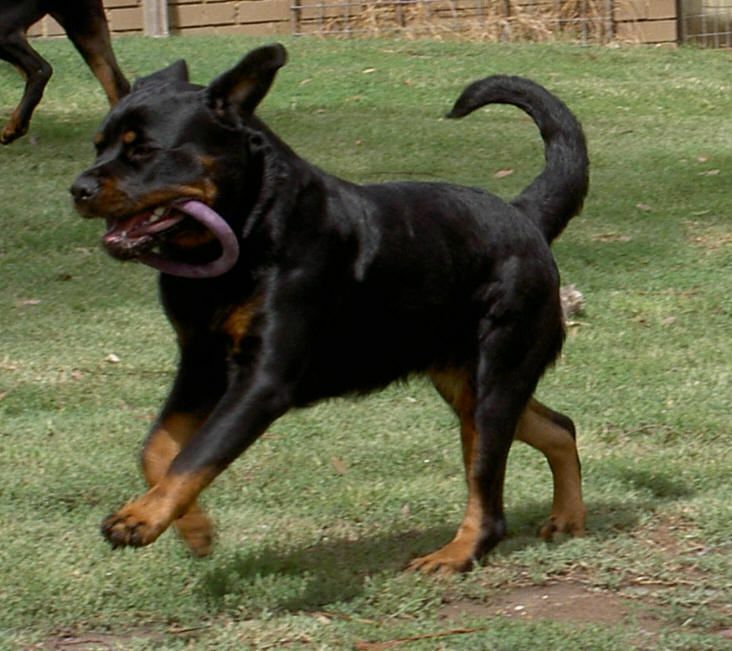 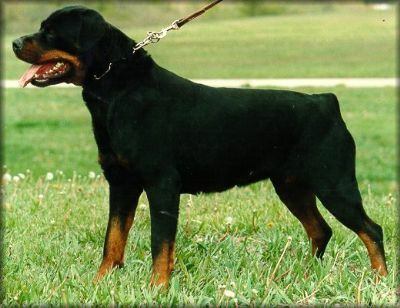 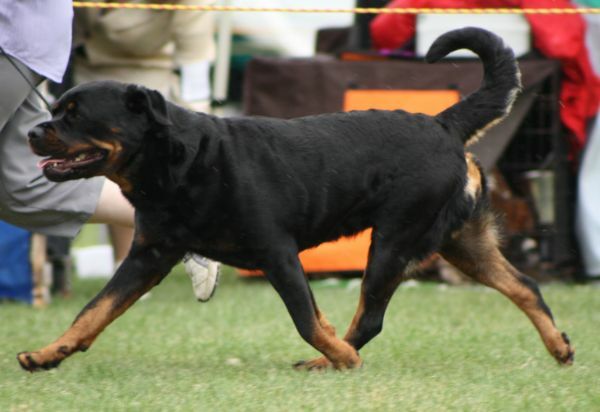 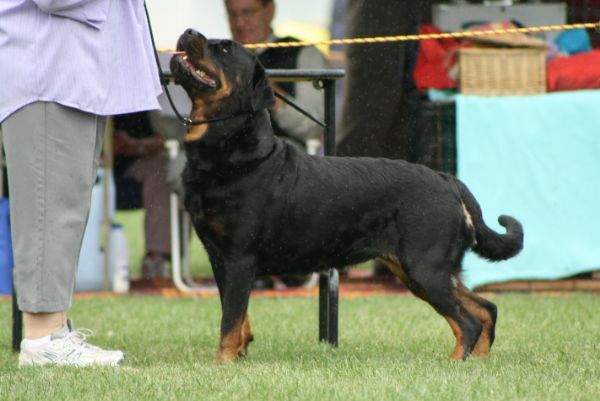 She has done well in the All Breed Ring obtaining her Australian Championship title with ease. 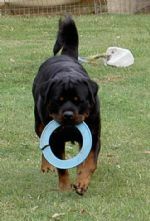 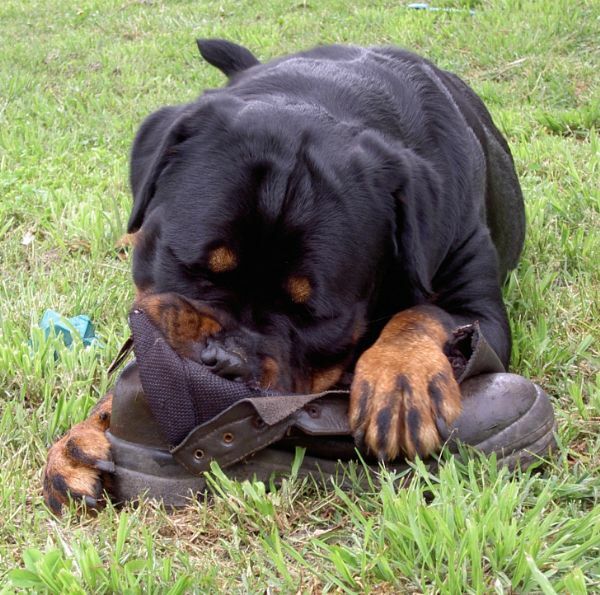 She also shows great promise in tracking and obedience. 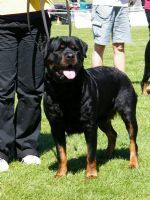 Unfortunately CC had to be desexed at the age of 5 years in May 2014 and now she is exhibited in the Open Neuter Classes. 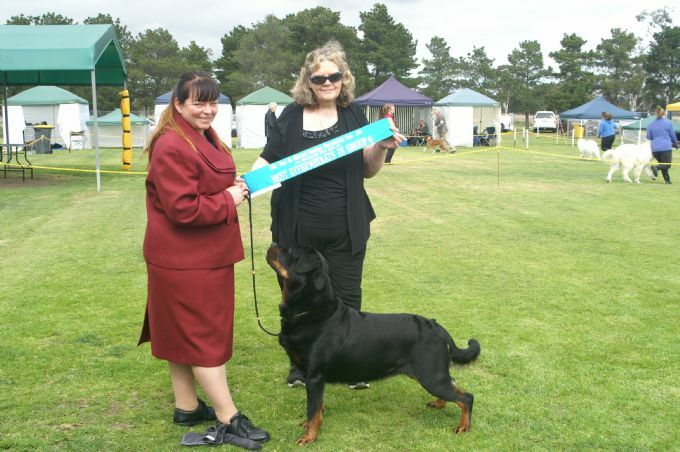 We would like to thank all the Clubs that have embraced and supported the Neuter Classes. 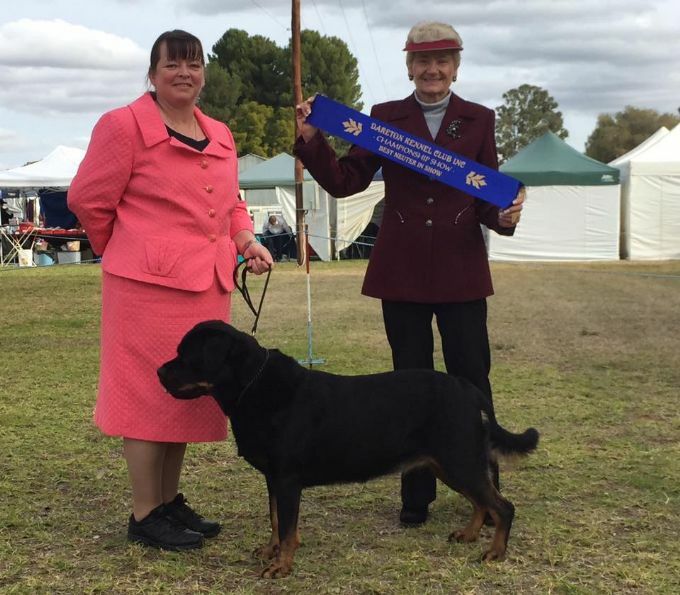 It has been great to see the number of Neuters being shown increase over the years and we hope that this class will be supported by more Clubs in the future. 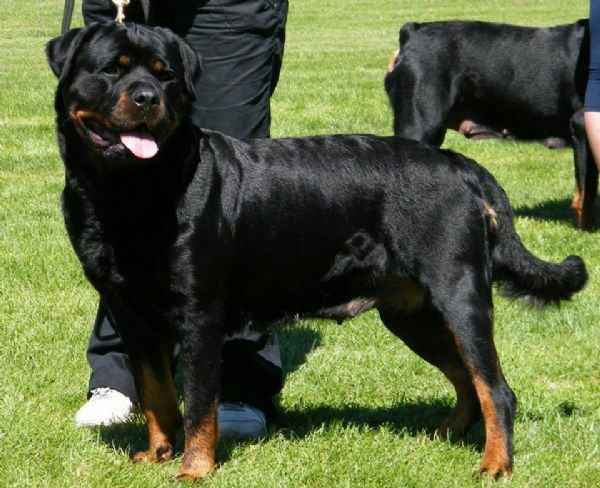 CC is a twin to Cannon and both these pups were very small when born compared to their 8 other siblings. 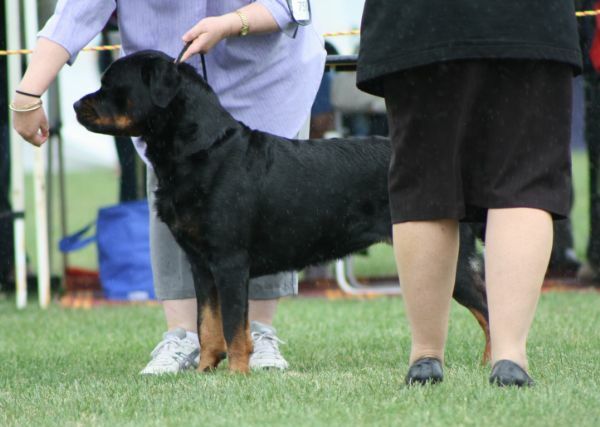 CC may be medium in size but she has developed a very large personality. 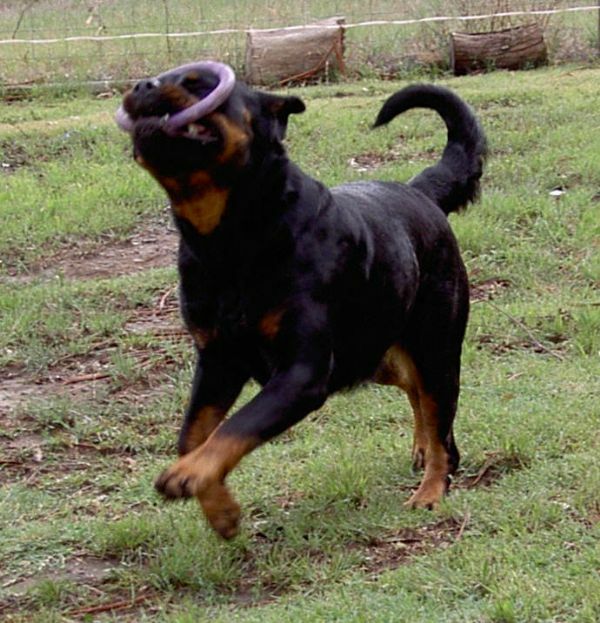 This girl enjoys getting pats and cuddles and just wants to be with you regardless of what you are doing. 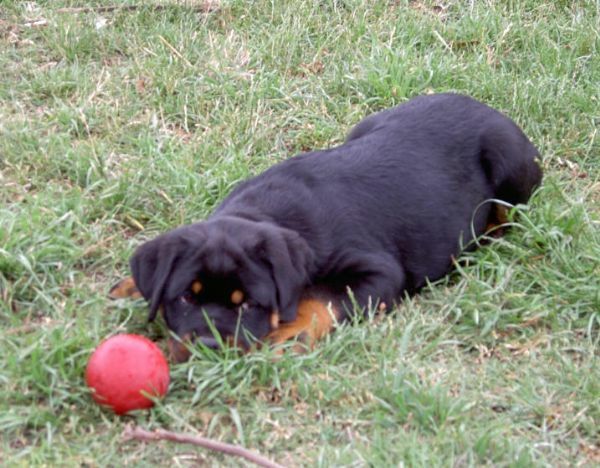 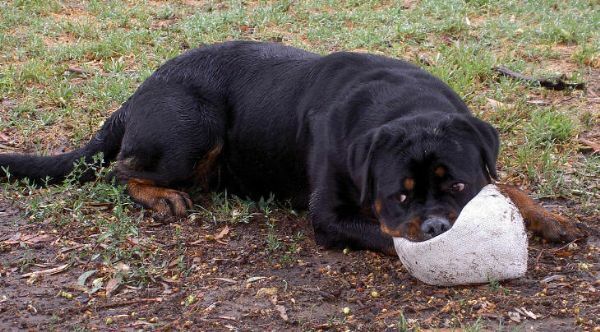 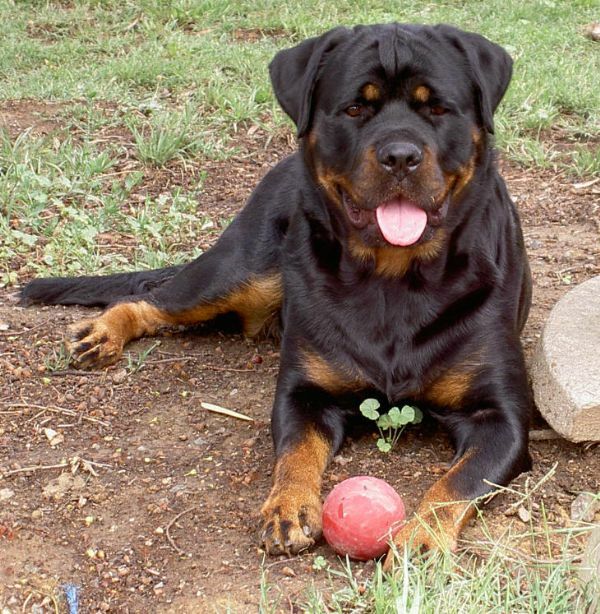 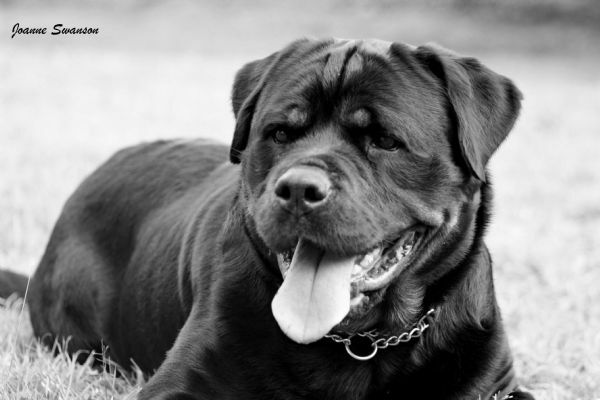 She, like her mother loves to play ball and also enjoys playing fetch. Also like her mother, CC is prone to transforming into a Mud Monster when the weather is appropriate. CC on the 18th December 2011. 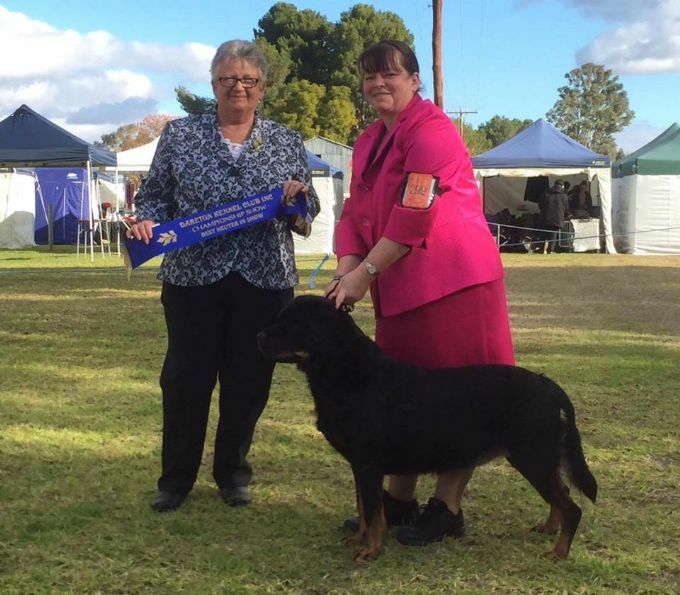 Thank you Jo Swanson for the photo. 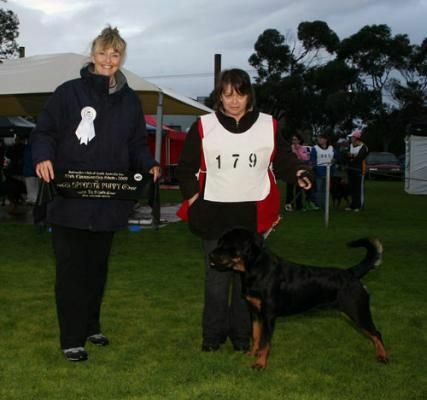 CC on the 18th December 2011 - it was raining during judging. 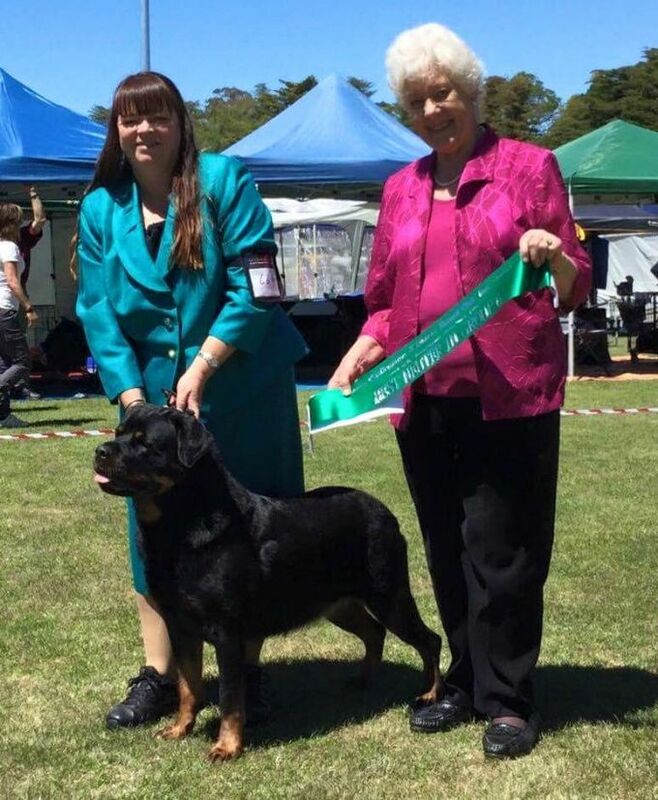 Thank you Jo Swanson for the photo. 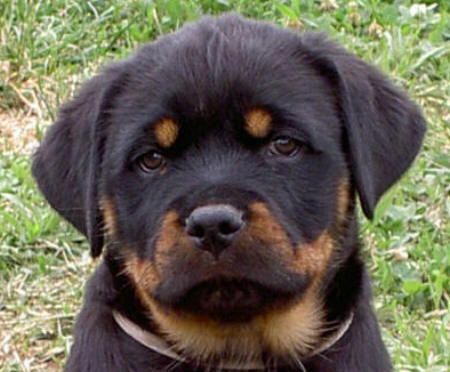 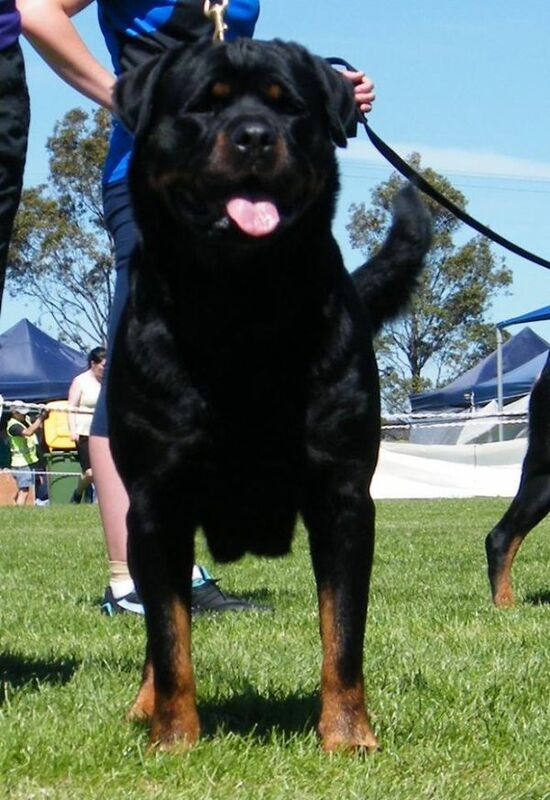 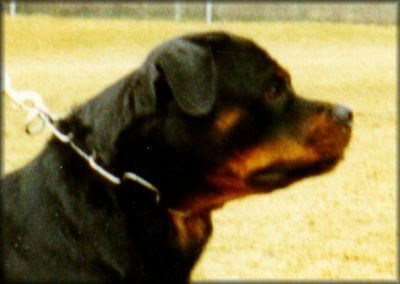 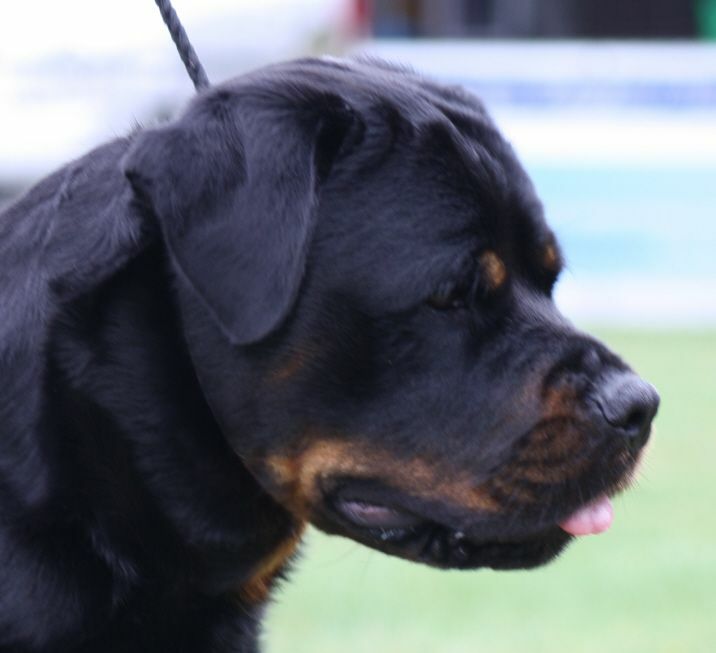 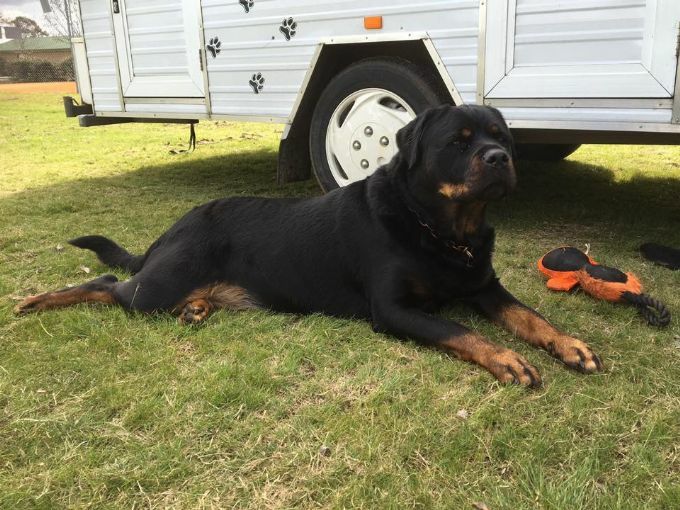 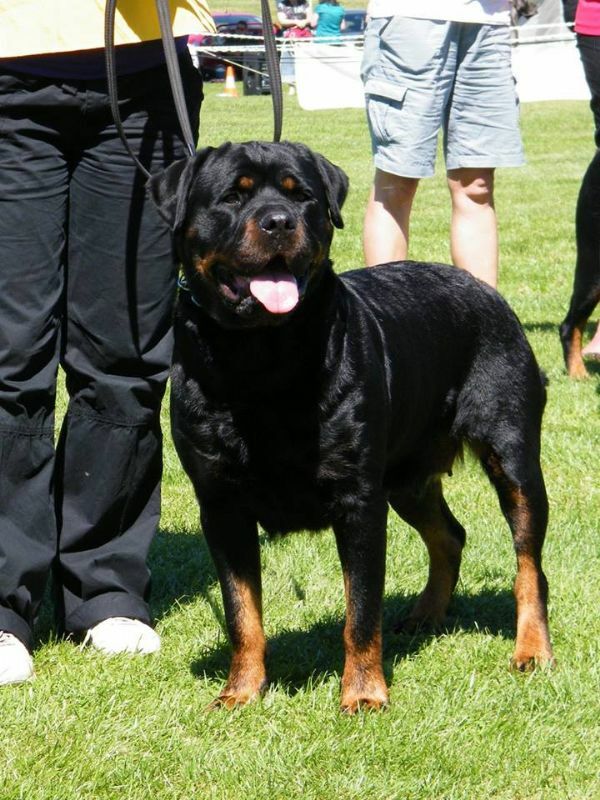 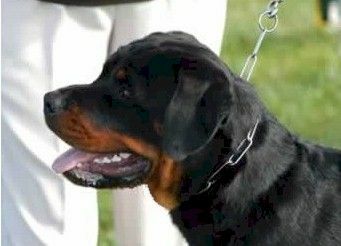 Picture of CC taken the weekend of 14 - 15 May 2011 at the Seymour Shows. 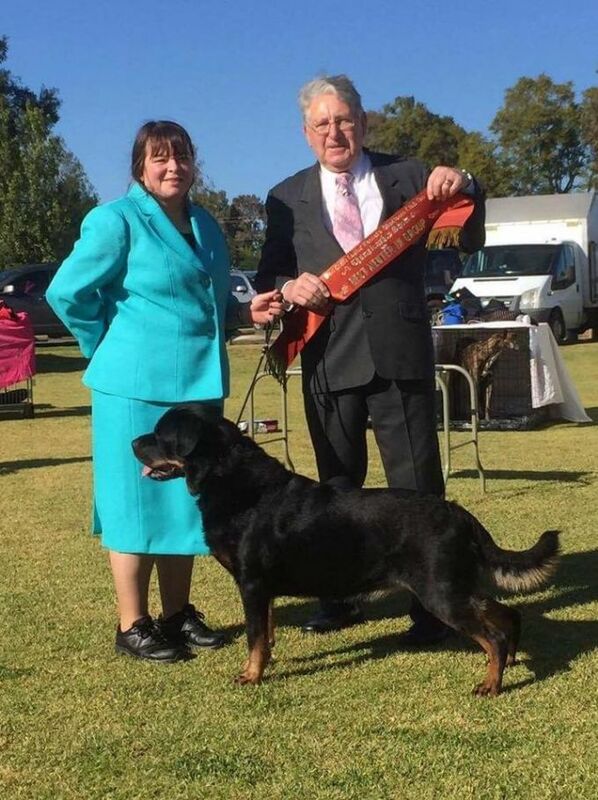 Thank you Jo Swanson for the photo. 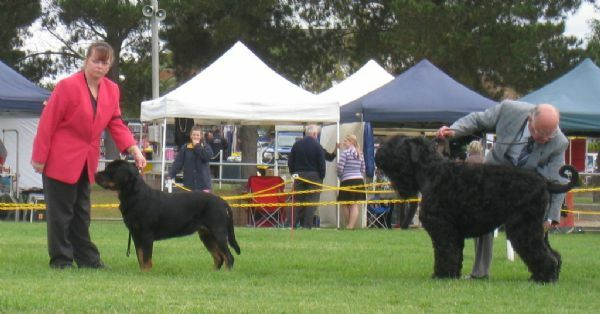 Group Line Up at the Easter Saturday Show at Bulla 2011. 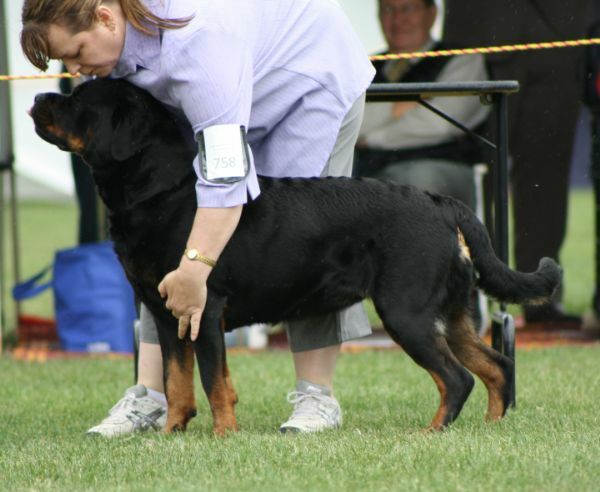 Myself and CC at the Easter Saturday Show at Bulla 2011, CC was awarded Best of Breed at this show. 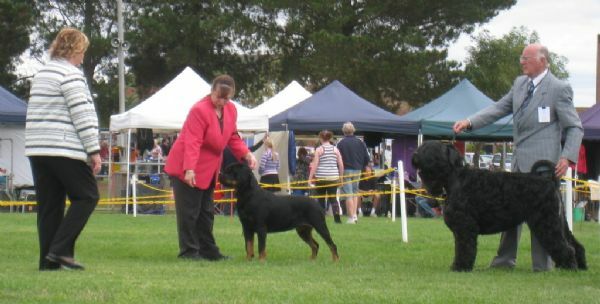 Easter Saturday Show at Bulla 2011, CC trying to get attention. 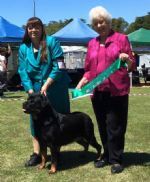 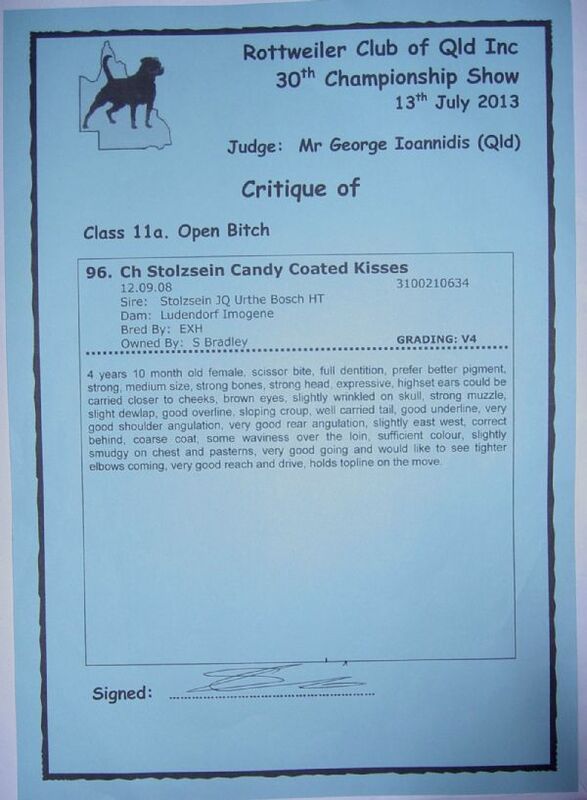 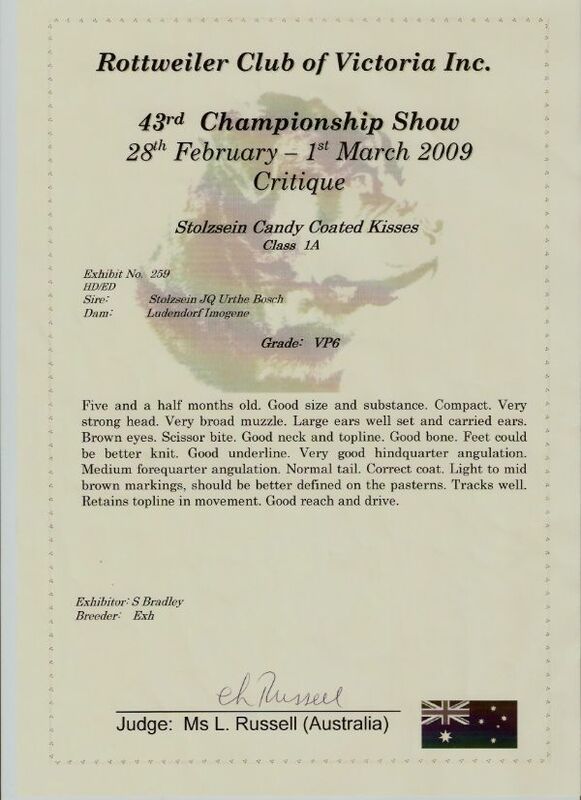 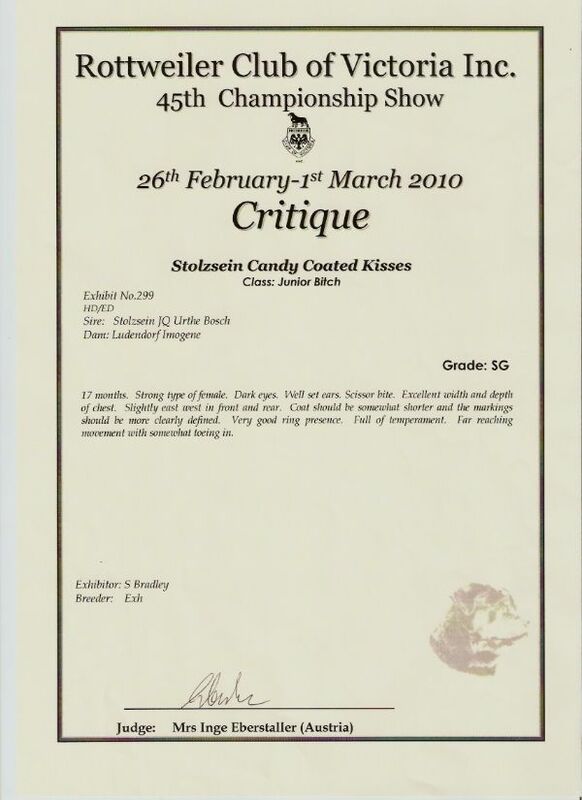 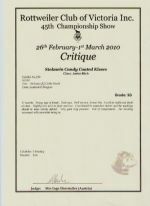 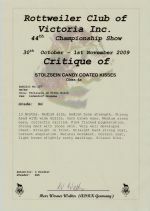 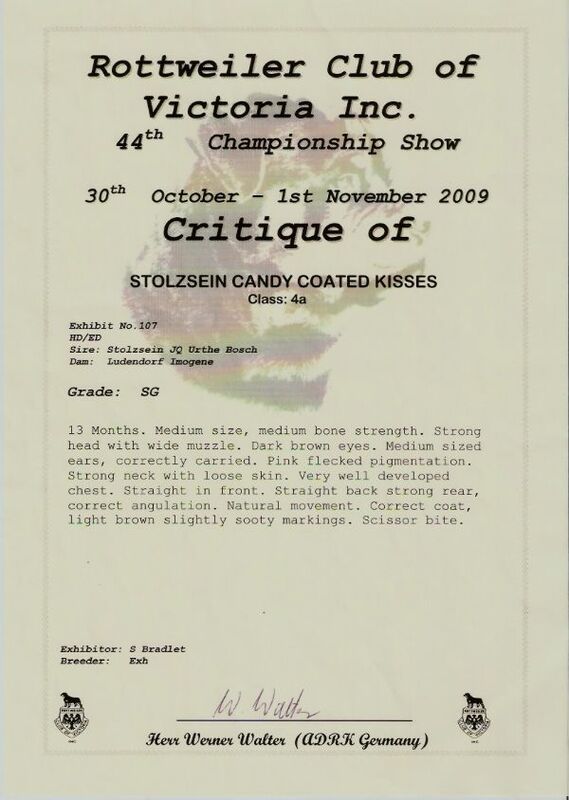 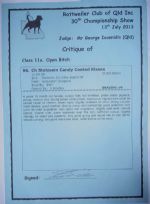 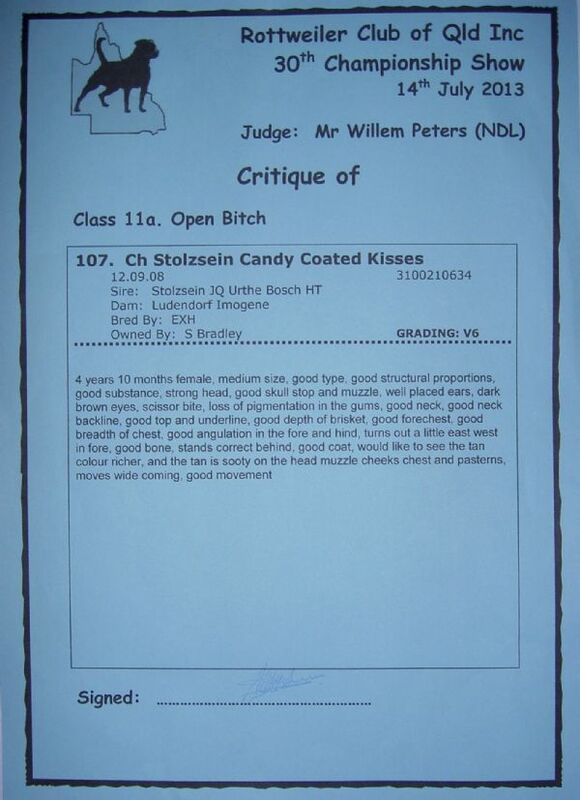 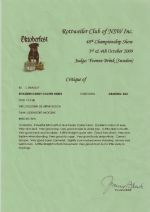 Easter Saturday Show at Bulla 2011, CC was awarded Best of Breed at this show. 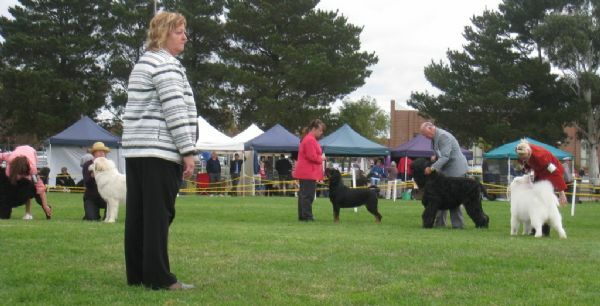 CC at her first try at herding. 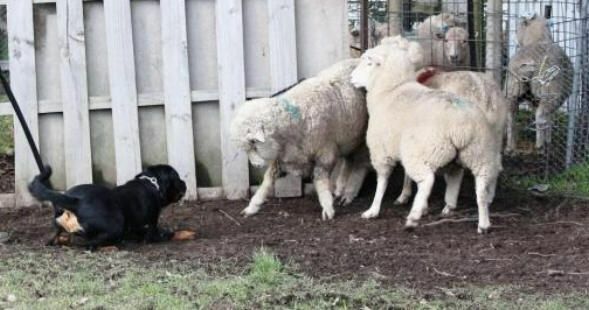 The sheep and her having a stand off! 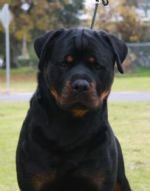 CC @ 2.5 years old picture taken at Cohuna in March 2011.